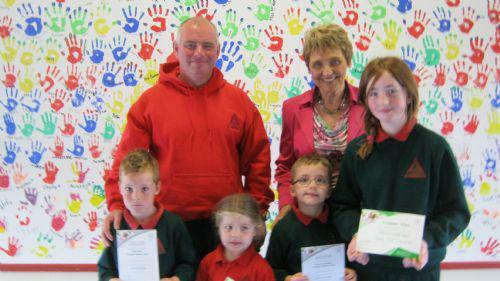 Mrs Ann Walker, from Action MS Northern Ireland, came to thank Drumgor P.S. for raising £2,985 for the charity, through our sponsored walk in Moira Demense. The photograph includes the school's top fundraisers.